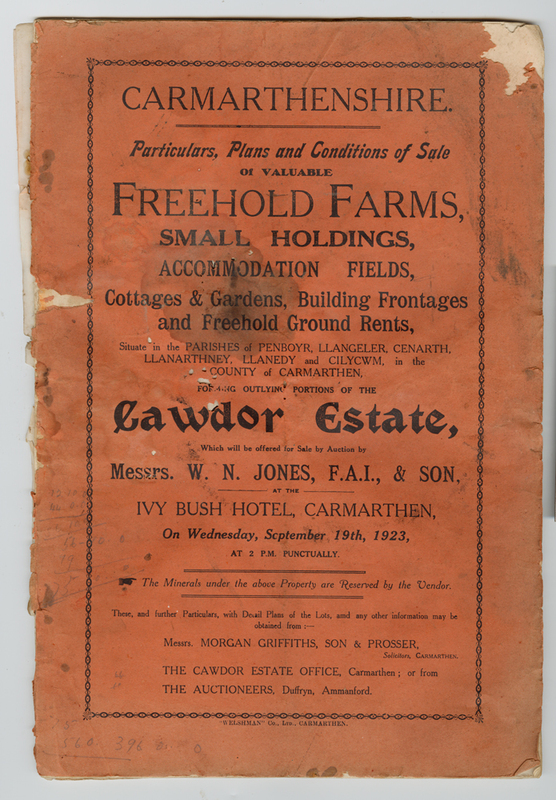 Auction at the Ivy Bush, Carmarthen on Wednesday 19th September 1923. ? farms belonging to Estate of Cawdor - 75 in all. Extensive knowledge of all farms in the booklet.